Stella Chuu recently used TranspArt and cellophane to create her tails, and shared the process with us. Downen Creative Studios has discovered that Worbla products can be cut using a Cricut – the trick is multiple cuts! They put together this fantastic video explaining the process and settings, and also a handy infographic for you to reference! A tutorial by Bamzy Cosplay showing how they used Pearly Art Scales to create their dragon scale bracer. Gladzy Kei needed a lot of matching designs for her armored Esmerelda design – so she’s shared her process of creating designs from pearly art, then using a simple 2-part mold putty to create molds to make duplicates. DiGi Rin Cosplay used Pearly Art and TranspArt to help her bring this amazing bow to life for her sinOalice Gretel costume. She shared the process with us, and you can see the steps she took to create this oversized piece to complement her costume! Naruvien Art&Design used Worbla’s Kobracast Art to create this lightweight wolf’s head as a comfortable costume headpiece. Shappi Workshop used Worbla in her Winged Mercy build from Overwatch, and filmed the process. Serakirah Cosplay used a simple icing tip usually used in cake decorating to create this sharp scale effect in very little time! Pretzl Cosplay used Worbla’s Finest Art to create a birdskull for her Xayah from League of Legends costume. Check out her video showing how! Pretzl Cosplay shared this video explaining how she uses extra scraps of Worbla and a sanding tool to hide her seams created during joining pieces, especially when they are built using the sandwich method. Ivorivet created this stunning wig for her Amethyst from Houseki no Kuni, achieving a glossy, crystalline look. She shared her process with us below! We contacted Termina Cosplay to create a tutorial with the new Worbla’s Pearly Art, and she shared how she made this bikini styled breastplate armor with negative details. Take a look at her tutorial! Serakirah Cosplay sculpted her own adorable teacup Chip from Disney’s Beauty and the Beast and shared the process in this video. Naruvien Art&Design has been experimenting with creating decor with Worbla products, and this hanging, glowing snowflake is a beautiful piece for the holidays or your Snow Queen costume. Methyl Ethyl shared the steps she used to create her Wonder Woman tiara based on the new DC movie. We asked Air Bubbles to create a tutorial for us using Black Worbla, and she shared the process of making her headdress or Helmet for her Una costume, a character from Warmachine. 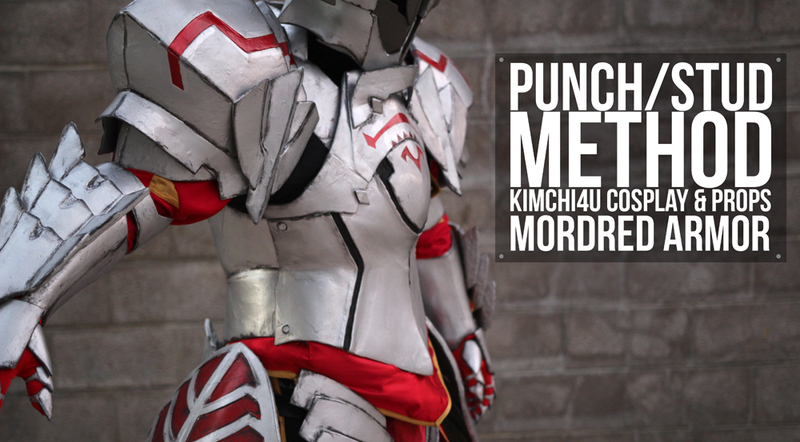 Erza Cosplay shows how she molds with air dry clay and Worbla’s Pearly Art to create detailed armor pieces. Hogal Cosplay used Worbla’s Pearly Art to create this dagger from Skyrim, and shared a video of the process with us. Naruvien Art & Design used Pearly Art to create this bracelet and shared a video of the process with us! Germia used Worbla and EVA foam to create her stunning Anubis Pharah with wings that move! It’s an amazing build and you can see her progress and the final build here!